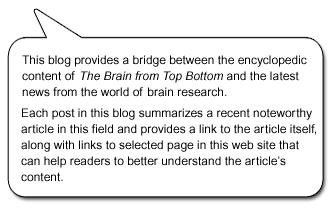 The Brain from Top to Bottom Blog – Intermediate Level » Fewer Glial Cells Than You Might Think? Most neuroscience textbooks still state that the number of glial cells (non-neuronal cells, such as astrocytes) in the human brain is far higher than the number of neurons. The figure often given is 10 times higher, and some authors even speak of up to 50 times higher. But studies done over the past few years offer a far more conservative estimate: a ratio of around one to one. For example, in their 2009 study, Azevedo et al. estimate that there are about 85 billion glial cells and 86 billion neurons in the brain of an adult male human. The ratio observed does vary from one brain structure to another, and can be a bit higher in certain sub-cortical structures that contain many glial cells, but in the cortex, the ratio of glial cells to neurons never exceeds two to one. For the brain as a whole, the ratio does thus tend toward one to one. In this respect, humans are no different from other primates or mammals, in which this same ratio is found. Thus, the refinement of neuron-counting methods, like that of other tools and techniques in the past, has quashed yet another myth that purported to differentiate humans from the rest of the animal kingdom. Such new findings also force us to update our books and web sites (including this one), because scientific data are by definition subject to revision. Fact or Fiction? Are there ten times more glia than neurons in the brain? Are There Really as Many Neurons in the Human Brain as Stars in the Milky Way?